This Awesome-Looking Indy Car Was Once The World's Fastest Beer Wagon! This Awesome-Looking Indy Car Was Once The World’s Fastest Beer Wagon! 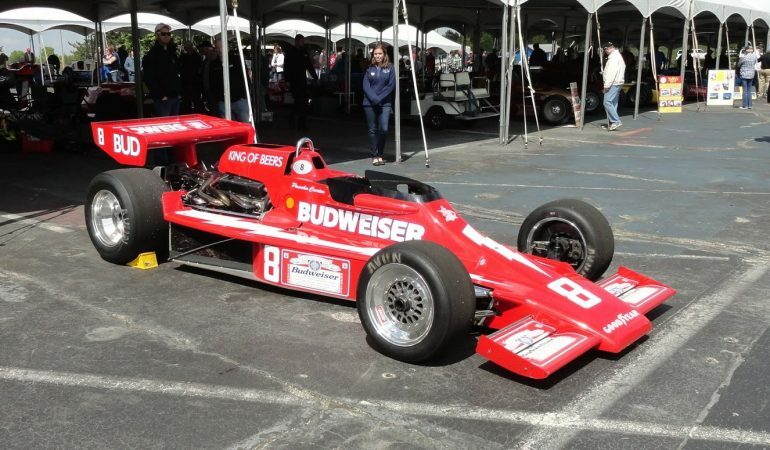 In this video, Lou Costabile of My Car Story brought us in a special event showcasing not just one but an ample amount of legendary Indy Cars. In this video, he was able to spoke with Dave Roberts, the current owner of the famous 1978 Lightning Cosworth Budweiser # 8 which was once dubbed by Budweiser as the world’s fastest beer wagon. It is actually the first car sponsored by Budweiser! As far as victory of this car is concerned, this car was not really as successful as others and in fact known for its terrible finishing records. Nevertheless, this nicely restored Indy race car is still a work of art and absolutely amazing!